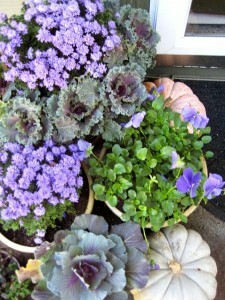 Beautify Your Home with Fall Planters! Mums come in so many of falls rich colours like deep reds, burnt orange and crisp yellow. Arguably one of the most quintessential flowers of fall, you’ll find them at virtually all supermarkets and home outlet stores like Canadian Tire, Home Depot and Walmart. The single most important thing you can do to increase the longevity of your Mums is to repot them as soon as your bring them back to your new home. Mums become root bound in the pot you buy them in which makes it really hard for them to drink water. Watering daily once they’re repotted will ensure they get enough hydration to last you the entire fall season. While mums can be spectacular and classic in your new home’s fall container arrangement, there are plenty of other choices that will last well beyond the first frost. 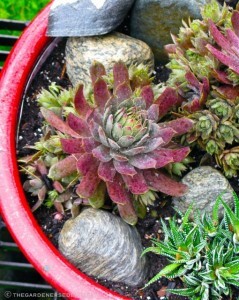 Consider hardy perennials in your container fall planter. Have fun with experimenting with new colour combinations you didn’t use during spring or summer, like purple. 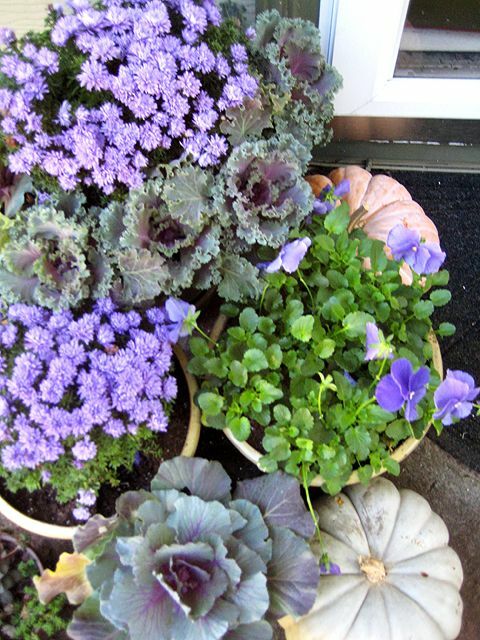 Kale, cabbage, pansies and lavender come in a beautiful array of lavender and purple hues making a gorgeous fall planter arrangement outside of your new home. If you’re after a low maintenance fall planter arrangement for your new home, why not give succulents a try? These stylish and forever accommodating arrangements are not us easy to care for but come in an incredible variteyt of shapes, colours and sizes. They look outstanding when planted in any vintage pot, soup can or egegant archetetural bowl. Best of all their cost is minimal so experiement away! For more great design tips and decorating ideas on getting your new home all set for fall, be sure to visit the Mosaik Homes Facebook Page!